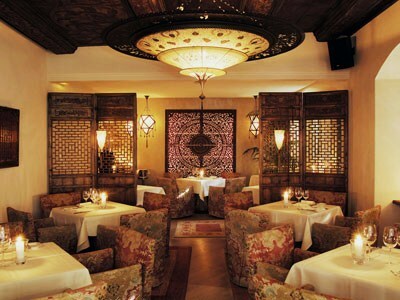 Fortuny Lamps exemplify the Art of Illumination! CLICK ON ALL THE IMAGES: for additional details and options in either SILK or MURANO GLASS. 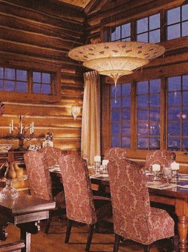 These lights are stunningly beautiful when unlit and simply incredible when used with dimmer switches. Contact Us For: Pricing, Availability, Dimensions, Information, & Viewing Appointments. info@luminosodesign.com ph:403 283-5763. We Direct Drop Ship Anywhere, offering Fair Pricing, Customizing Assistance, Excellent Timelines, Shipment Tracking & Great Service. 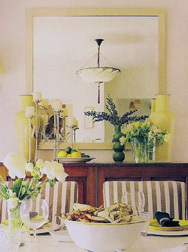 For Client Comments: see our Home & Testimonials Pages. 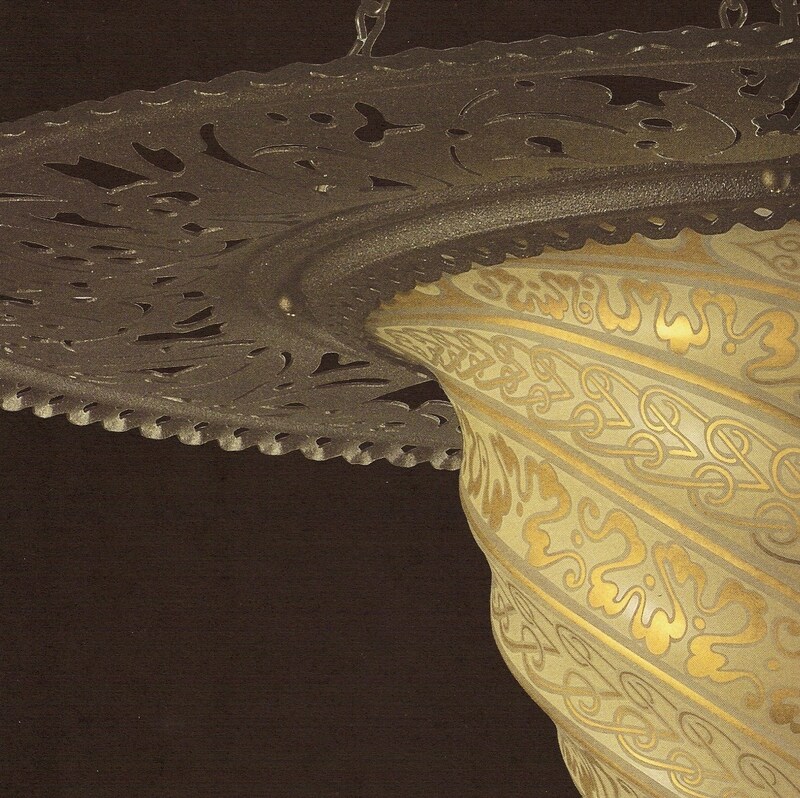 These majestically stunning lamps combine the artistic excellence of hand-painted motifs which synthesize intriguing aspects of Oriental and Venetian design. Designs of classic refinement based on Fortuny's original works, offer unique filtering and incredible balance. The result of which is truly unique, magical sculptures of light. The timeless ambience of these amazing artistic creations satisfies both the practical and the aesethic requirements of good lighting design. Each genuine Silk Lamp design is woven from yarns of long fibres of strength and texture which result in a superior and long lasting product. 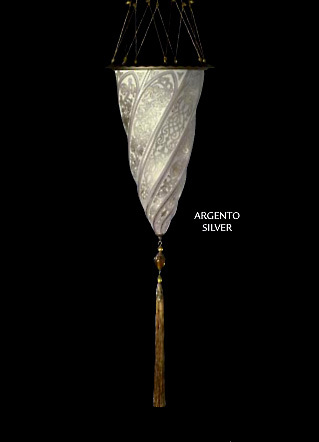 Every design whether realized in fine Silk or in the timeless shimmer of Murano Glass is truly a work of art. 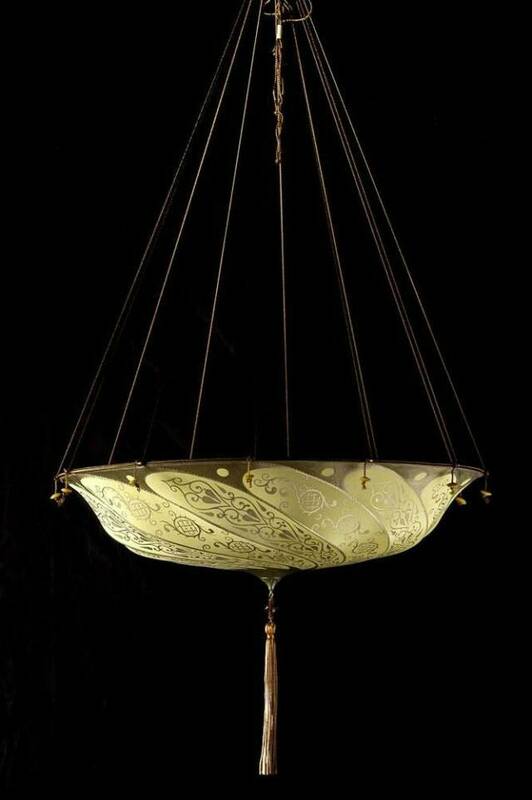 Experience heirloom quality lighting which is truly the combined essence of brilliant Fortuny design, luminous detailing and excellent hand-made craftsmanship - a perfect result! 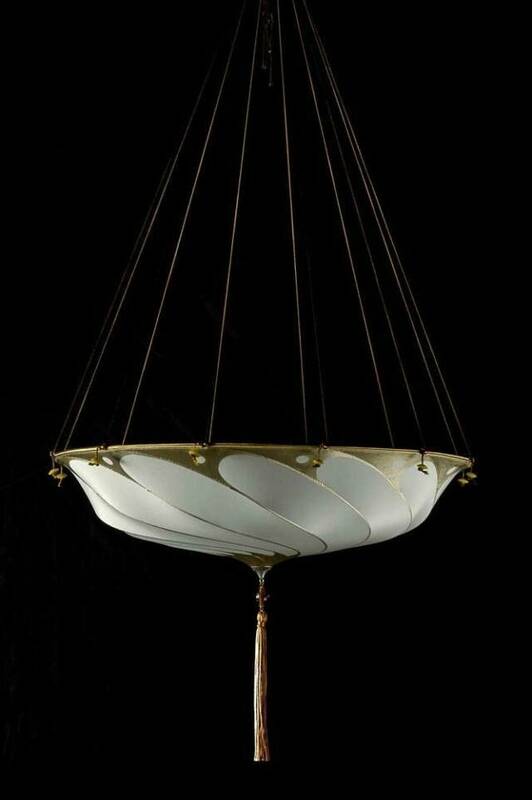 Silk Lamps: Options: Standing Floor Lamp, Flush or Suspended Ceiling Mount, Wall Mount, Wall Sconce and On-A-Rod models. 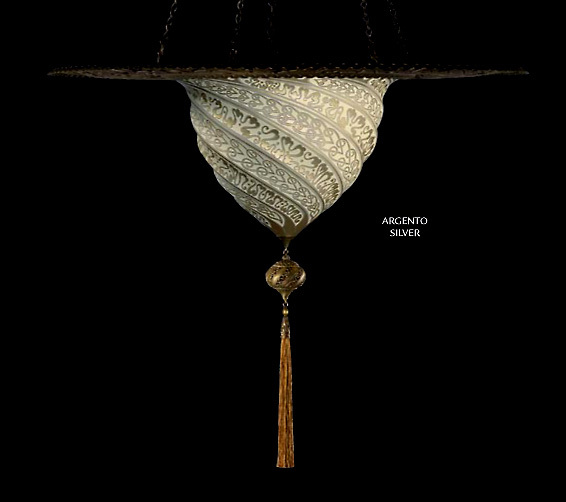 Murano Glass Lamps: in Crème or Ivory colour with shimmering iridescent hand painted Gold or Silver accented designs. Glass Lamps Options: Standing Floor Lamp, Flush or Suspended Ceiling Mount, Wall Mount, Wall Sconce, new Compositions, new Sultano and On-A-Rod combinations. Customized Overall Height Options: available on Ceiling Suspended models. We will assist you in determining your requirements. 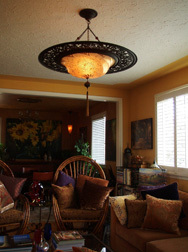 All Lamps are Trademarked & made exclusively in Venice, Italy. 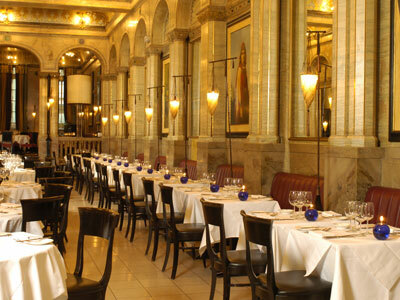 The challenge of finding quality lighting with timeless appeal and handcrafted excellence is over ... contact us! Today's narrow definition of "artist" does not even come close to adequately describing the genius of Fortuny. As his father was an artist and traveler, Fortuny was exposed to many forms of art and encouraged to use his imagination at an early age. He was truly a "renaissance man" - a painter, textile designer, creator of his own paints plus he developed patented processes for printing metallic inks on fabric and special techniques for creating and dyeing silk and silk velvet fabrics. He also created his own photographic paper, and held engineering patents to control lighting in the world's most prestigious theatres. 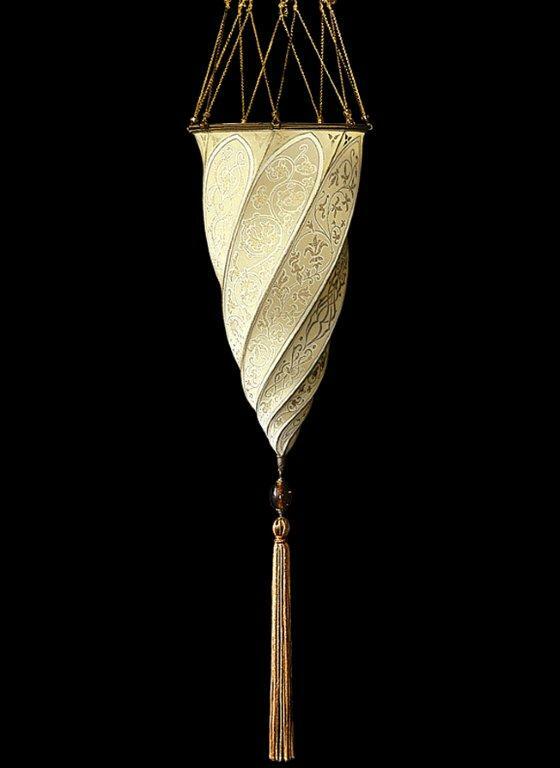 Fortuny's luminous lighting designs are major part of his amazing legacy. He was intensely involved in every aspect of his works closely following the artistic discipline of the aesthetic movement. Fortuny is one of the most original thinkers and his prolific creative achievements mark him as one of the most brilliant interpreters of "The Silver Age" of Venice. 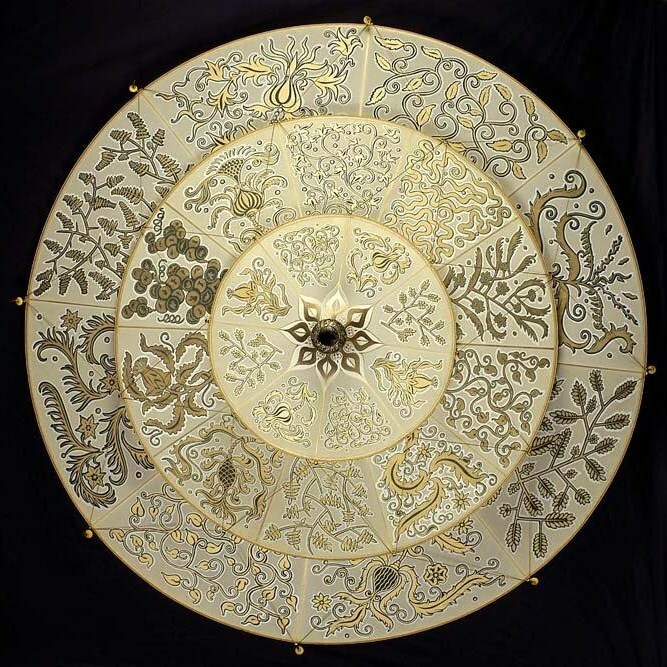 To own one of these trademarked designs based upon Fortuny's genius is to experience the highest level of artistic achievement. and the true art of illumination. Good Design and Fine Quality always hold value.These classic, elegant designs are timeless. We are pleased to be able to share these exquisite products with you.